Currently I am going to talk about how to generate Federal Road Safety Corps FRSC Remita Retrieval Reference RRR Payment Code for Road Traffic Offence Fines in Nigeria. Remita has become a fundamental part of Federal Government and State Government transactions and has become the only method of payment to the Treasury Single Account (TSA) which was enforce in the past years. Federal Road Safety Corps fine payment. Higer Institution of Federal Government. 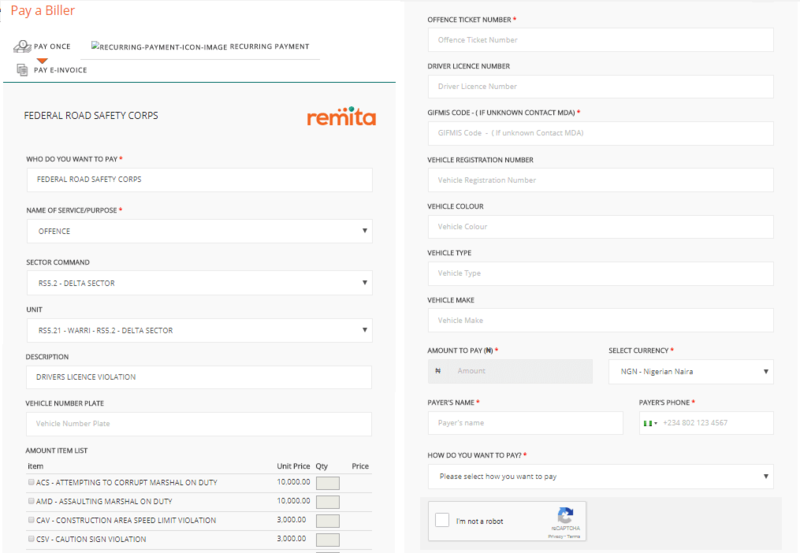 Tender fees Payment and just any biller that make use of remita platform. 2. At the top of the web page you will see a search field that you could easily use to search for the biller/agent you want to pay for. This will take you to a unique window where you will fill in your details regarding the payments you want to make. If you can not see or asses the search field, they are other way you can used to navigate to where you will fill in your details for payment. 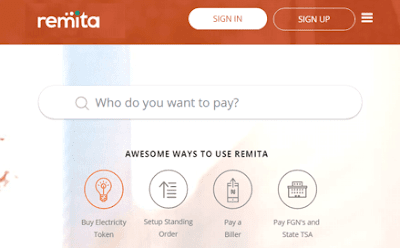 Still on the remita homepage click on the logo Pay a Biller, this will take you to a page where you will be asked ” WHO DO YOU WANT TO PAY” for Type in FEDERAL ROAD SAFETY CORPS in the field. On the Area Name of Service/Purpose of Payment, choose from the drop-down list, the service you are paying for. Below are list of Service/Purpose of payment to choose from. DONATIONS, INSURANCE, NATIONAL DRIVERS LICENSE, OFFENCE, REFUND, SALE OF GOVERNMENT ASSET, TENDER FEES TOWING, TRAINING, VEHICLE NUMBER PLATES. 8. GIFMIS CODE – ( IF UNKNOWN CONTACT MDA) *- though this field is mark as compulsory, but the basic fact is, it can be do away with it, in other words, you can generate your remita payment code without inputting the GIFMIS CODE. Not filling it does not prevent the page from generating your remita rrr number when you finally click on submit. Choose the currency you want to pay with. Select Nigerian Naira or if you’re paying in dollars you select US dollars. If you choose to pay at the bank branch after confirming you are human by ticking the “I’m not a robot” tick box click submit. on the resulting page you will see your unique Remita Retrieval Reference RRR number which you can either print and take to the bank or copy it down and use it to fill your deposit teller at the bank. Put your card holder name, card number which is on the front of the MasterCard or VISA card, the expiry date of the card and the CVV number which is located under the card. You then verify that you are a human and not a robot and click submit. payments used with your account. Click on the OTP link and wait for your one-time password which will be sent to your registered phone number which you should input on the next screen to authenticate the payment. 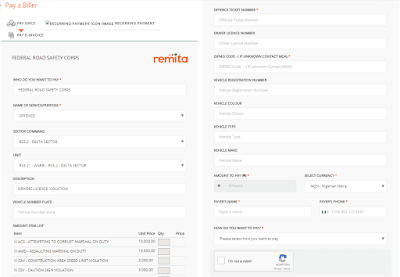 A copy of the Remita Payment Receipt will also be sent to the e-mail you supplied while registering so make sure you use a valid email address as the school will not accept your payment without payment receipt.